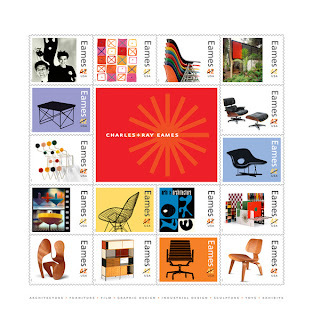 Today I went to the Post Office and picked up these Eames stamps. I left happy. I think picking out stamps is super fun and I don't like to buy boring ones when I know that I can pick out cute ones for the same price. My suggestion is to always ask to see the stamp book. You know we have options ladies. Bring on the PRETTY stamps. They will brighten up your day and make bill paying a little bit more fun. I worked in a Post Office at The University of Utah (7 or so years ago, man, I'm getting old). I sold stamps. I loved to reorganize my stamp folder and pull it out so everyone could pick the stamps they wanted. Some postal workers aren't as excited to pull out the stamp book but they will. Sweet Genie and I spent 2 plus years in that little Post Office. Every time I go to buy stamps, I think of her. I remember stopping by to say hello to you there! I always make them pull out the stamp book too. Anyone can get a flag or bell - but I want something fun! I agree! Getting the cute stamps is worth waiting in line at the post office. I like to decorate my bills with stickers, too. I figure someone is opening them, and wouldn't some kittens brighten up their boring day of opening envelopes? 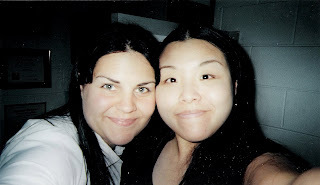 that seemed like a long long long time ago!